According to the article titled "Effects of providing total cost of ownership information on consumers’ intent to purchase a hybrid or plug-in electric vehicle" published in the journal Transportation Research Part A: Policy and Practice, including the total cost of ownership (TCO) numbers on the EPA labels for cars (not just fuel savings) would increase the sales of plug-in electric cars. We think this would be true since the TCO for most plug-in electric cars is lower than for conventional cars. We agree that additional indications on the window sticker with positive numbers would be noted by customers and likely affect their buying decisions. "Energy-saving technologies have a difficult time being widely accepted in the marketplace when they have a high initial purchase price and deferred financial benefits. Consumers might not realize that, in the long-run, the financial benefits from reduced energy consumption offset much or all of the initial price premium. One strategy to address consumer misconception of this advantage is to supply information on the “total cost of ownership”, a metric which accounts for the purchase price, the cost of the fuel, and other costs over the ownership period. In this article, we investigate how providing information on five-year fuel cost savings and total cost of ownership affects the stated preferences of consumers to purchase a gasoline, conventional hybrid, plug-in hybrid, or battery electric vehicle. Through an online survey with an embedded experimental design using distinct labels, we find that respondent rankings of vehicles are unaffected by information on five-year fuel cost savings. However, adding information about total cost of ownership increases the probability that small/mid-sized car consumers express a preference to acquire a conventional hybrid, plug-in hybrid, or a battery-electric vehicle. 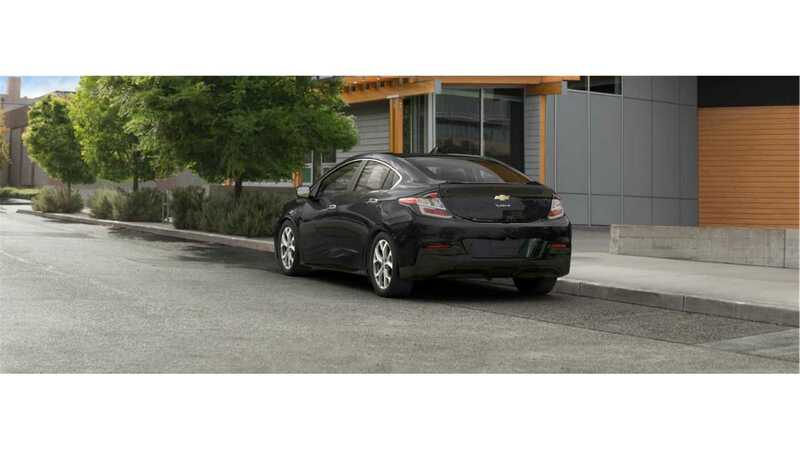 No such effect is found for consumers of small sport utility vehicles. 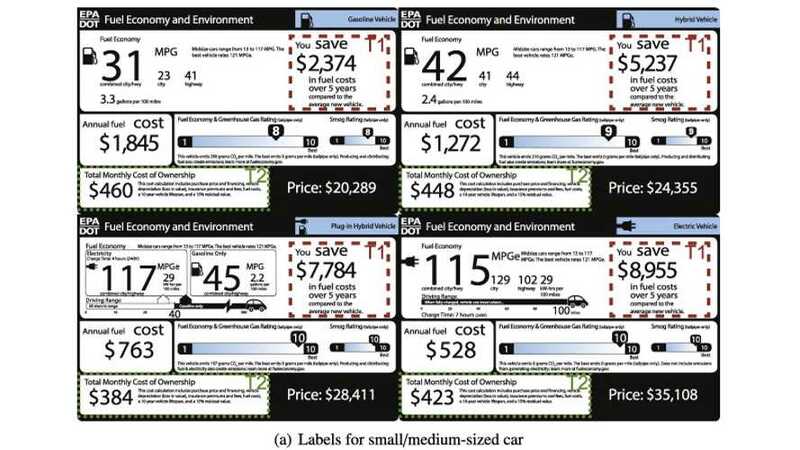 Our results are consistent with other findings in the behavioral economics literature and suggest that further evaluation of the effects of providing consumers with information on the total cost of vehicle ownership is warranted." 5-year TCO (with "financing, depreciation, registration, maintenance and insurance costs" and probably incentives) could provides a better indication of how much a price premium will be offset than by simply listing fuel savings only, but this is a complicated task with a lot of assumptions. Maybe the EPA should develop a new interactive tool with graphical presentations of total costs for every model for the first several years to make base and individual comparisons possible? To count/establish a 5-year TCO, the EPA would need to count TCO for each and every year anyways.